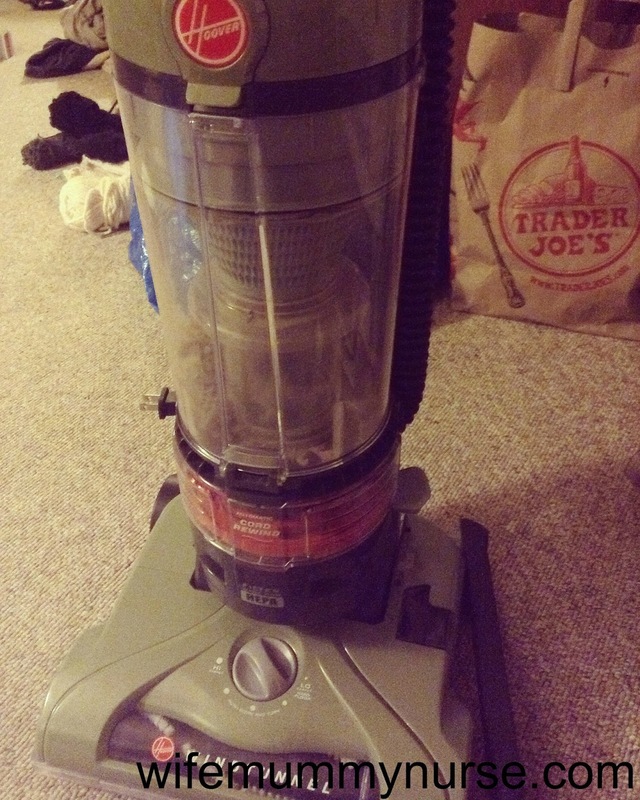 Day 18: I'm thankful for my new vacuum cleaner. On Monday morning, our vacuum cleaner died. Since our apartment is completely carpeted (minus the kitchen and bathroom), I called Drew, explained the situation to him, and said, "I'm buying a new vacuum on Amazon today." With two children, I NEED a working vacuum everywhere, especially around the dining room table. All day yesterday, I was looking forward to today. Why? My vacuum was coming. I put it together within 5 minutes and started vacuuming areas within 10 minutes after receiving it.